Southern Gas Corridor (SGC), which envisages transportation of Azerbaijani gas to Europe, allows more integration of gas infrastructure, Gas Exporting Countries Forum (GECF) told Trend. Based on projections from GECF GGO 2018, Europe will increase its net imports of natural gas from 278 billion cubic meters (bcm) in 2017 to 350 bcm in 2020 and 440 bcm in 2040, said the organization. "With this import prospects, the Southern Gas Corridor (SGC) is an important option, in addition to other pipeline sources, that contributes in improving European energy security," said GECF. SGC allows diversification of gas supply sources and routes targeting the European market, and supports the penetration of natural gas in Eastern Europe region, which presents a non-negligible potential of gas demand increase, according to the organization. 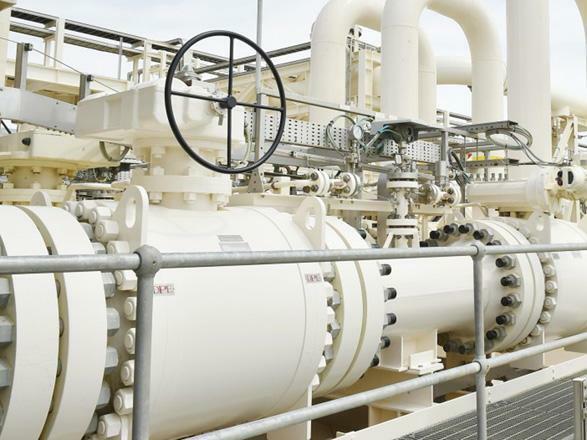 "SGC allows more integration of gas infrastructure since it offers the possibility to connect with other intra-European pipelines, and this enables to increase the availability of natural gas and its accessibility to European markets," said GECF.